While the whole of the UK is geared up and energised to welcome Shri. Modi, the Indian women living in the UK have a whole new approach to welcome him. 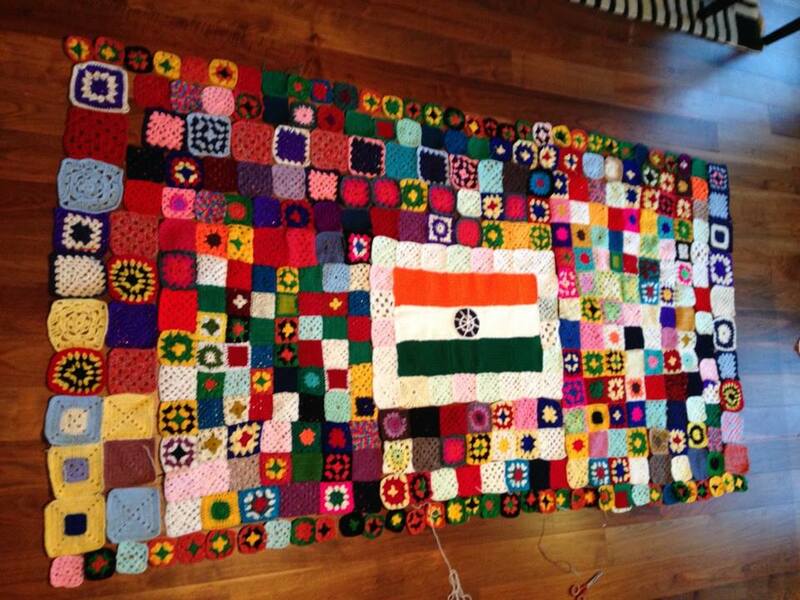 An initiative by the ladies in the UK, ‘Crochet for Modi’ is preparing a colourful blanket made up of 2500-3000 mini squares of crochet. This unique initiative is the brain Child of Poonam Joshi, who is also the back bone of the 4000+ members’ group, Indian Ladies in UK (ILU). 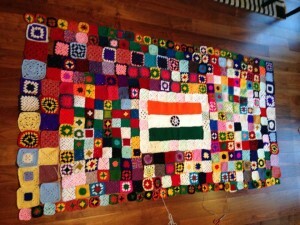 The women’s only group have started this as ‘chai pe Crochet’ initiative to reflect and highlight ‘Unity in diversity’. However, it is just not a sheer winter blanket, every crocheted square has a reason and a request. The team basically calls upon addressing three issues such as opening of cultural centres for children by Indian mission, educating and creating awareness of basic rights for every woman coming to the UK or any other country, and making India a safe place for women. In short, its a blanket of women, by women and for women! Ms.Joshi is in touch with the PMO and the Indian High Commission in London and is hoping to meet the PM during his visit to the UK between Nov.12- Nov.14. We congratulate the team for their Unity, hardwork and innovative ideas!